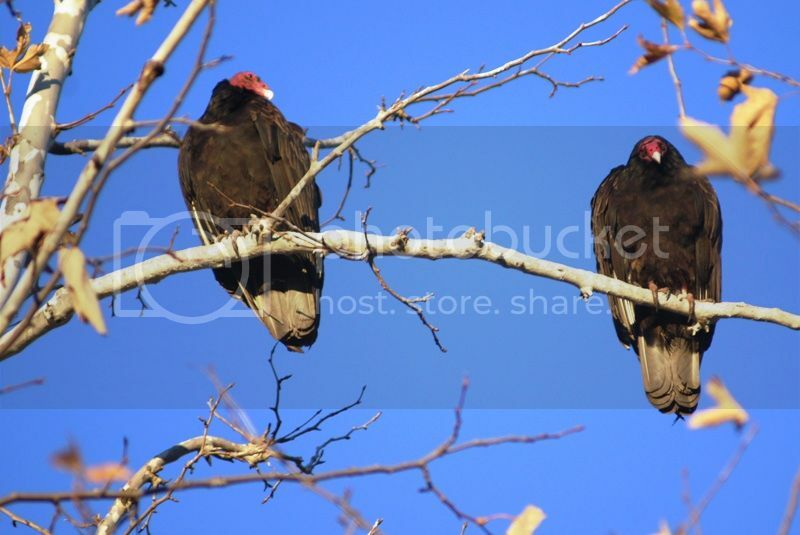 I just saw a turkey vulture with a tag fly over my home. Is there a study going on with them in Socal? I am curious to hear...condors often have tags, and eagles in the Channel Islands too. No Brian. Wasn't ready for it. All I can tell you is that it was a white tag on the right wing about 1/3 from the body seemingly like a clip (kinda large, large enough to see anyway) on the leading edge of the wing. It was definitely a TV not a CC. I did some checking online and there are plenty of pictures of tagged TV's. So, it doesn't seem to be anything out of the ordinary I suppose.